Awesome Dunes At First Encounter Beach On Cape Cod Bay. 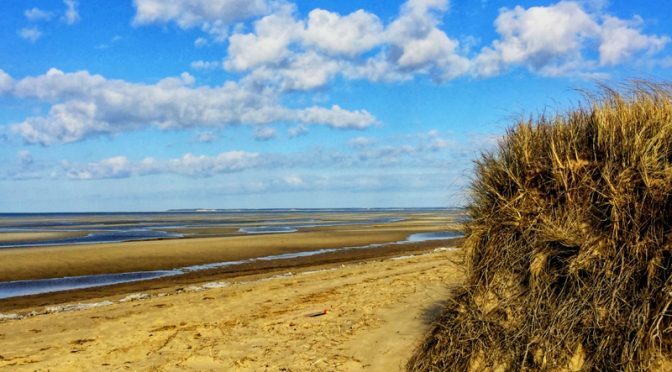 When you get to First Encounter Beach in Eastham on Cape Cod, you can park in the parking lot, or you can continue down the road where you can park and then hike up over one of the 4 dune trails that lead to the beach. They are really cool, as most of the beach area is flat, except for these dunes. 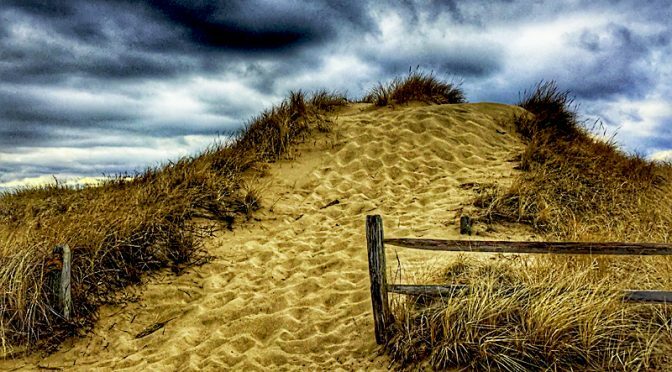 Have you ever hiked up over one of the dunes at First Encounter Beach? Beautiful, don’t you think? 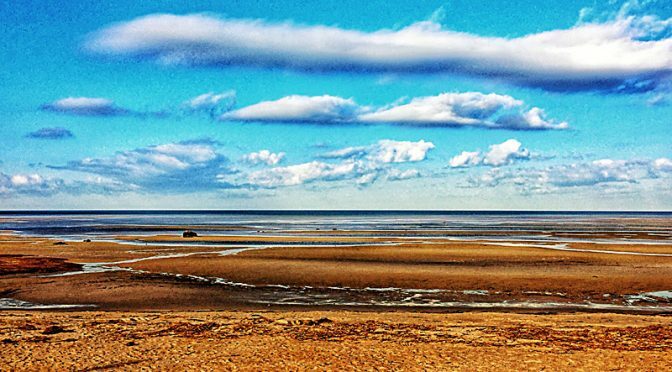 Love The Flats On Cape Cod Bay At First Encounter Beach. It was such a pretty day with so many fluffy, white clouds in the blue, blue sky. 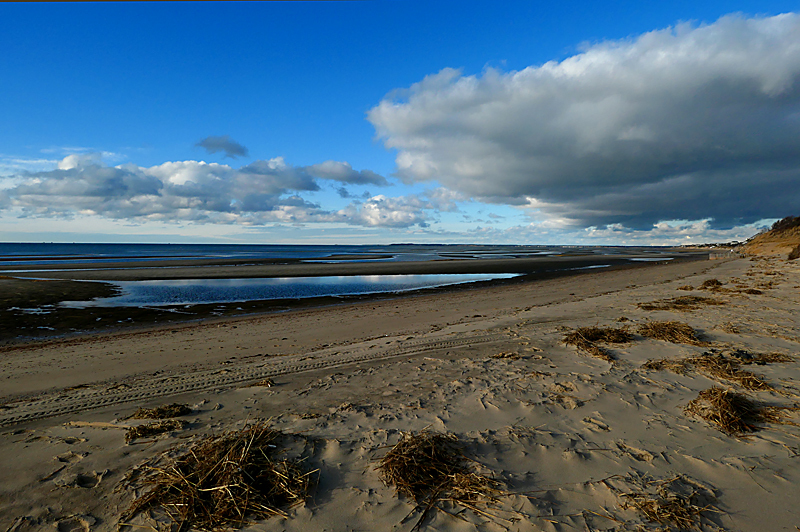 First Encounter Beach, where the Native Americans first encountered the Pilgrims on Cape Cod, was just beautiful. The tide was low so you could see the flats go out for what looks like miles. You can even see Wellfleet way in the distance. 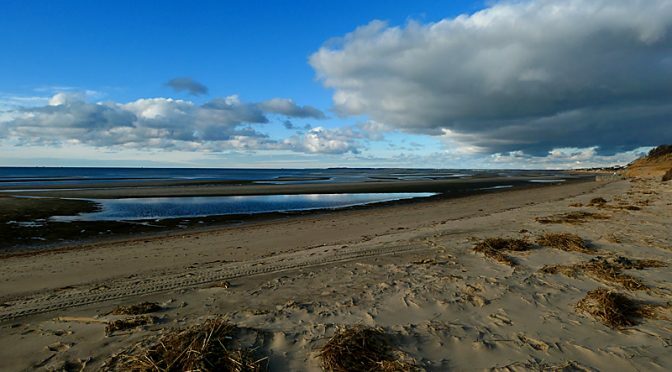 Have you ever seen the flats on Cape Cod Bay? So pretty, don’t you think? 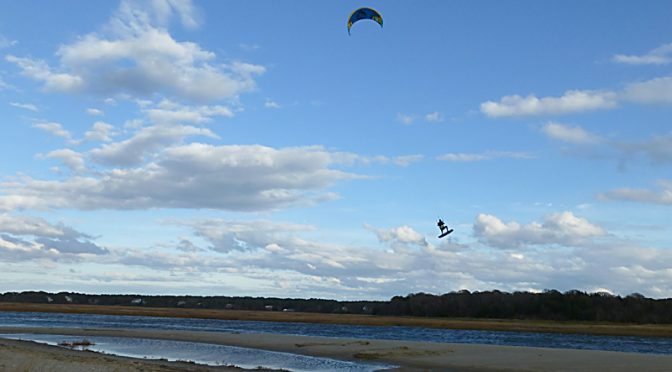 Kite Surfing At First Encounter Beach On Cape Cod. 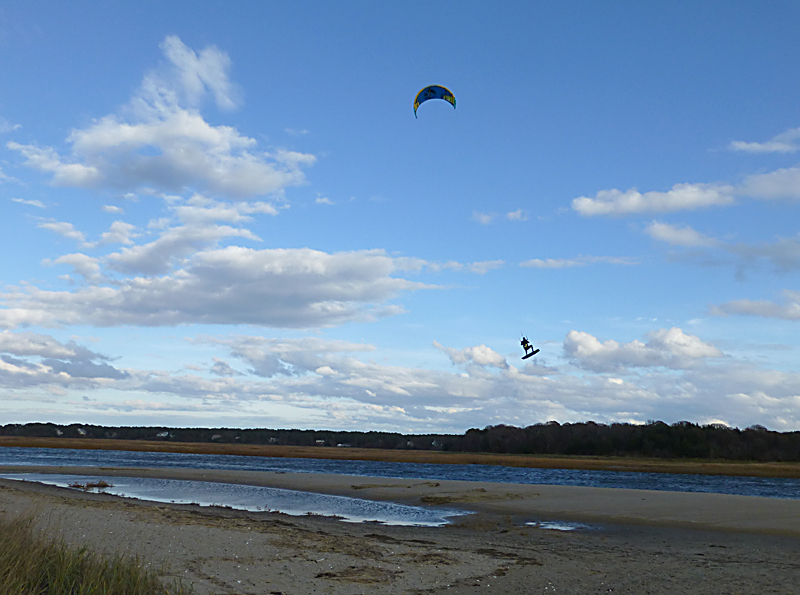 There were so many kite surfers enjoying the crazy winds here on Cape Cod yesterday at First Encounter Beach. It was fun just to go and watch their tricks. 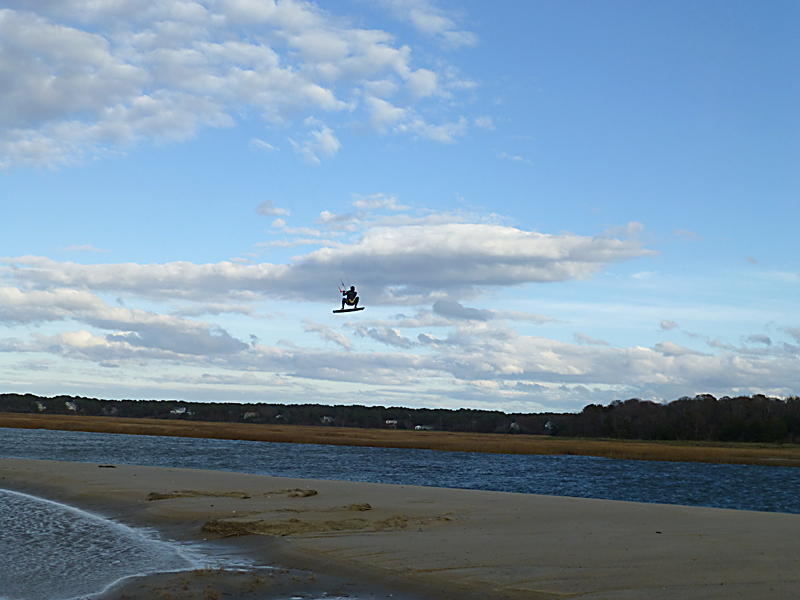 I loved this guy who would jump about 30+ feet off of the water into the sky. In the last photograph he looks like he is suspended from the clouds! Pretty cool, don’t you think? 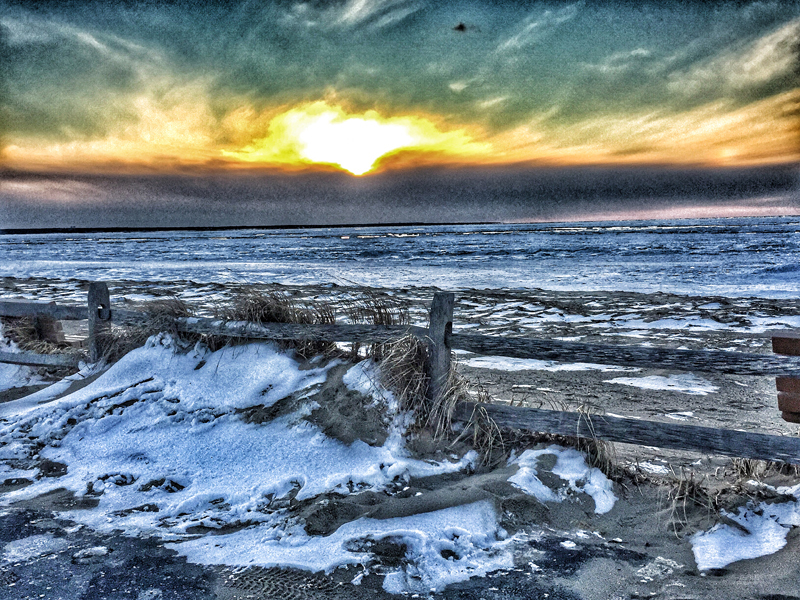 It was a beautiful almost sunset as the sun was starting to go down behind a bank of clouds at First Encounter Beach in Eastham on Cape Cod Bay. Temps were in the single digits and there was snow and ice everywhere. 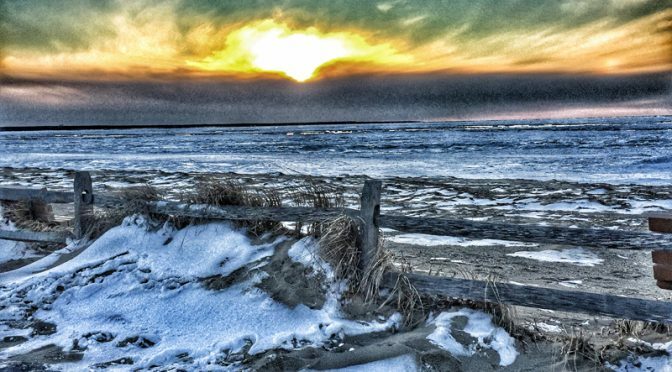 I loved this photograph of the sun setting behind the bank of clouds over Cape Cod Bay with the snowy beach fence in the foreground. The colors were just spectacular!